Just got a heads up from the interwebs. 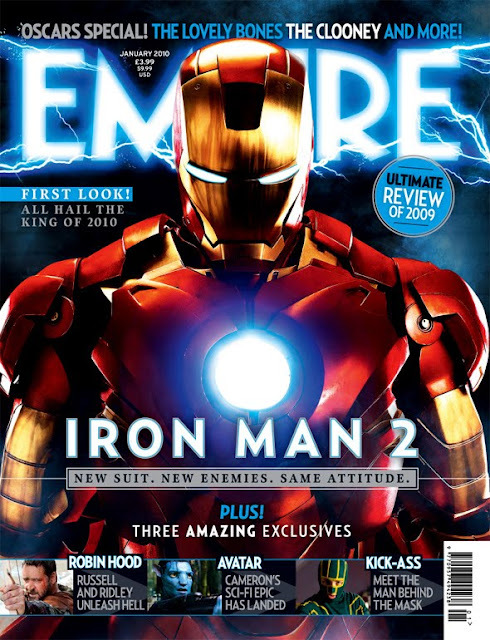 Empire just released a sneak peek on the upcoming cover of Empire Magazine that features IRON MAN 2. Though to be honest I'm really disappointed with the design of the armor because it doesn't have any major changes, still I'm looking forward to see this movie next year.